The fringe group celebrated the martyrdom of Nathuram Godse, who killed Mahatma Gandhi on January 30, 1948. New Delhi: The Akhil Bharat Hindu Mahasabha on Wednesday celebrated the death anniversary of Mahatma Gandhi by shooting an effigy of Bapu. The fringe group celebrated the martyrdom of Nathuram Godse, who killed Mahatma Gandhi on January 30, 1948. Hindu Mahasabha national secretary Puja Shakun Pandey shot at an effigy of Mahatma Gandhi while celebrating ‘Martyr’s Day’ in Uttar Pradesh’s Aligarh. Blood was seen coming out of the effigy after Pandey shot. As per reports, Pandey also distributed sweets among her supporters and fellow Mahasabha members. Godse, who killed Mahatma Gandhi, was allegedly associated with Akhil Bharat Hindu Mahasabha. Akhil Bharat Hindu Mahasabha has always celebrated Gandhi’s death anniversary as ‘Shaurya Divas’ or Martyr’s Day. This is the first time they have gone to the extent of shooting at an effigy of Gandhi as part of the celebration. 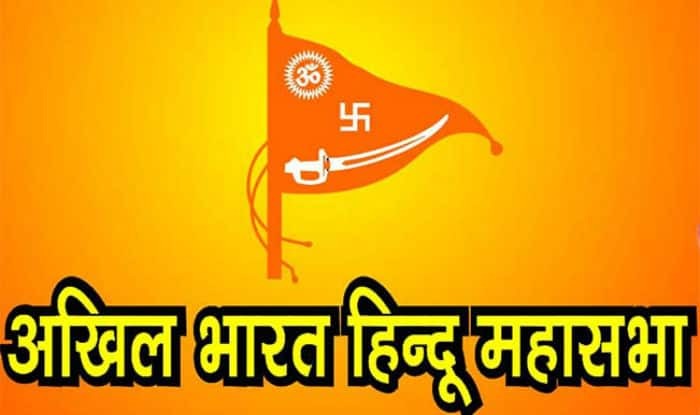 Shakun Pandey’s fringe group is not associated with the original Hindu Mahasabha. On Wednesday, the nation observed the 71st death anniversary of Mahatma Gandhi. The entire nation observed Mahatma Gandhi’s death anniversary on January 30. Mahatma Gandhi was assassinated on January 30, 1948, at the age of 78. Nathuram Godse was found guilty of murdering him and was executed the following year. Prime Minister Narendra Modi today paid tribute to the Father of the Nation dedicated to the nation the National Salt Satyagraha Memorial at Dandi in Gujarat. The memorial is a tribute to the 80 Satyagrahis who accompanied Mahatma Gandhi from Sabarmati to Dandi in 1930. The memorial also has 24-narrative murals depicting various events and stories from the historic 1930 Salt March.